I've forgotten where this info came from. Sorry! Edited by yours truly (contact me). The image came from computerhumour.com. In the wake of a biological war that has left a deadly cloud of bacteria hovering over the entire Northern Hemisphere, Newport City has a major crime problem. 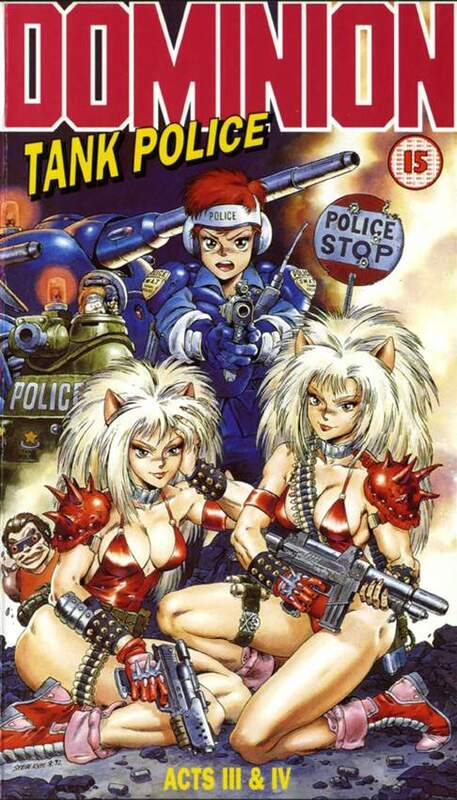 Spearheading the crime in the city is the gang led by the notorious Buaku and the mutant cat twins, Annapuma and Unipuma. Criminals for hire, they'll commit almost any sort of crime for a buck. The crime has become so troublesome that the Newport City Council set up a special Tank Police division to combat this plague of crime. The problem is, the Tank Police cause so much damage the question now becomes: just who are the bad guys? Enter the Tank Police's first female officer: Leona Ozaki. She joins the ranks of Mohican, the Chaplain, Lieutenant Britian (the commander), and Al, the only other relative newcomer. And the Tank Police (including Leona) soon get their hands full as Buaku's gang makes another strike, and this time, they're playing for keeps! Nothing's gonna get in their way ...except maybe for Leona and Bonaparte, the little tank that could. It's firepower, shenanigans, some scantily-clad beauties, and lots of mayhem, so when you hear those tanks, run for cover!